Coaching S.O.S. 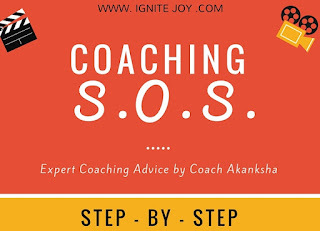 is the series of expert coaching tips and advice by Coach Akanksha. 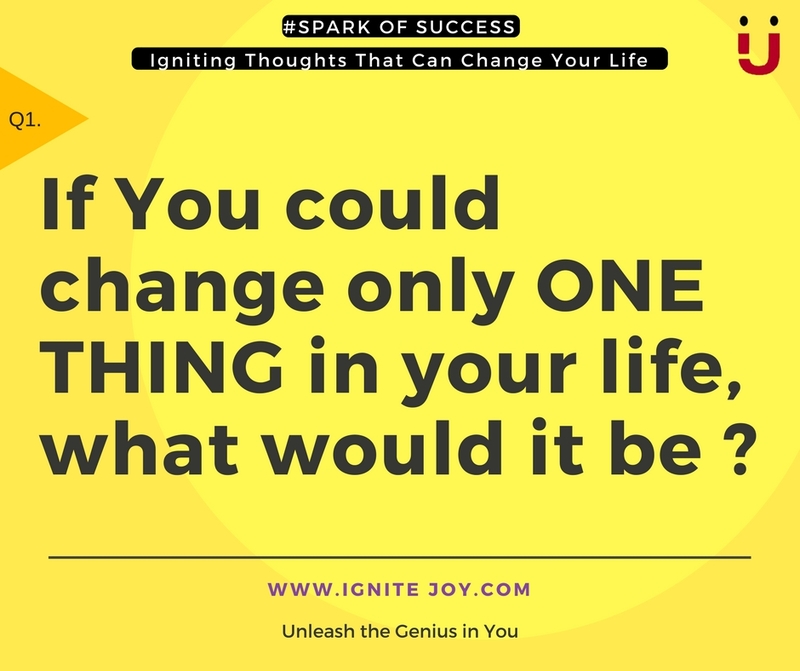 Each article in this series will be easy to implement self-coaching advise that will enable you to take small practical steps and progress as you go through your daily life. New articles will be posted regularly. Please keep a look out for some amazing stuff. This experience will be like directing a movie in your daily life, where You are The STAR of the movie. 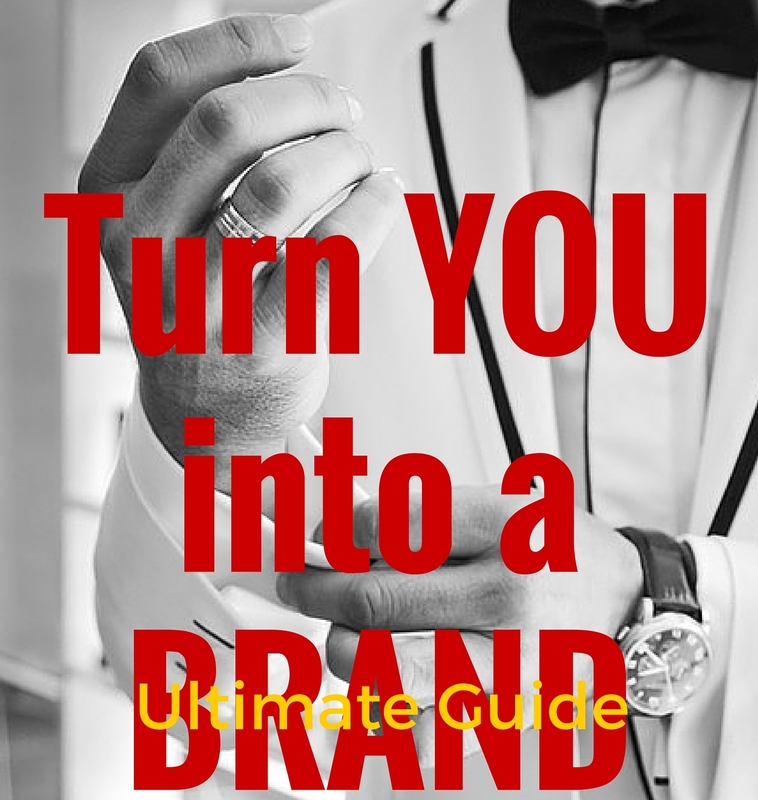 Each article will give you a script which you may recreate in your life as per your desires. And as you go about living the script, you will witness the magic unfold in your own Life. 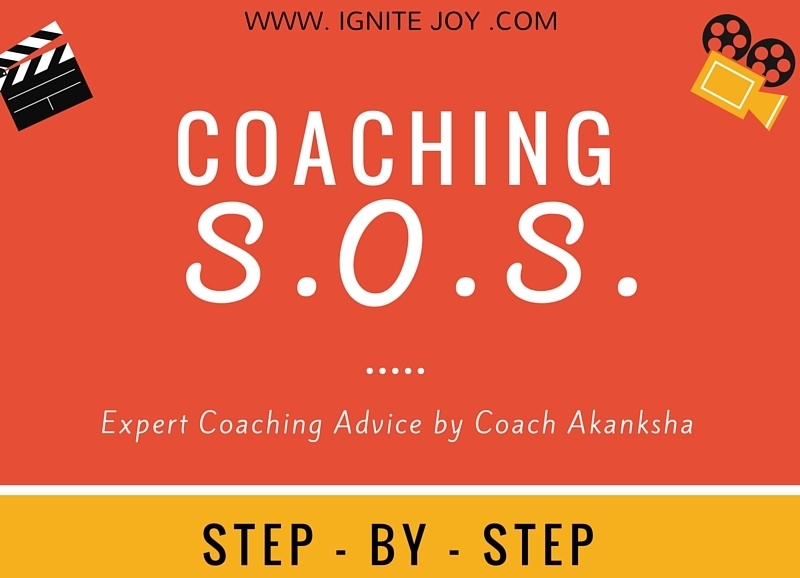 The following infographic gives a STEP-by-STEP procedure to inculcate coaching as a part of your daily life to make your life so much more purposeful and progressive at the same time.